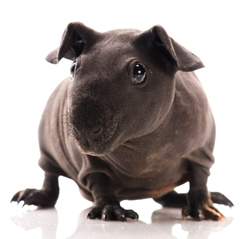 They are small, hairless and have been taking the country by storm… meet the skinny pig. The bald creatures are just a few inches long and can easily fit in the palm of your hand standing them out from the larger and more common guinea pigs. Home owners living in flooded areas are facing infestations of super rats. Many people will not have heard of bunny chow. But after years on the other side of the world, it is now in Britain, found at a small number of restaurants and street food vendors. Pingback: (EN) – New words: 30 June 2014 | Cambridge University Press | Glossarissimo!